I hope readers will recognize that in the world of intelligence and espionage–as in so many other professions–one can never escape the importance of history. It pervades the world of the intelligence officer, as well as the policymaker and diplomat, all three of which are intertwined. I hope readers will also acquire a more realistic sense of the work itself, the challenges it presents, and the rewards it can provide. One thing missing from so many books in the genre, in my view, is the nexus between policy and intelligence, as well as the link between the past and present. Too many stories take place within a vacuum that is divorced from the real world of intelligence. One of my goals in THE HAPSBURG VARIATION, and the Cold War Spy Series more broadly, is to let the readers see just why intelligence officers do the work they do, and why it so important to policymakers and diplomats. I consider Raymond Chandler and Ross MacDonald as the two paragons of American detective fiction for their superb prose, their ability to place their stories within the social context of their times, and their capacity to understand the dark underside that exists within all of us. 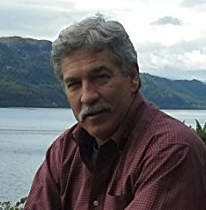 In spy fiction, my model is Charles McCarry for his understanding of the nature and challenges of the work, the importance of history, and the depth of his characters. Bill Rapp recently retired from the CIA after 35 years as an analyst, diplomat, and senior executive. He began his professional life as a historian and taught for a year at Iowa State University before heading to Washington, D.C. He received his PH.D. in European History from Vanderbilt University, an M.A. from the University of Toronto, and a B.A. from the University of Notre Dame. 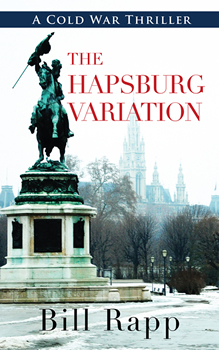 THE HAPSBURG VARIATION is the second book in the Cold War Spy Series, featuring Karl Baier. The first book in the series, Tears of Innocence, appeared under the Five Star/Cengage label. Bill also has a three-book P.I. mystery series set outside Chicago, Illinois. He lives and writes in Northern Virginia with his wife, two daughters, two schnauzers, and a cat.